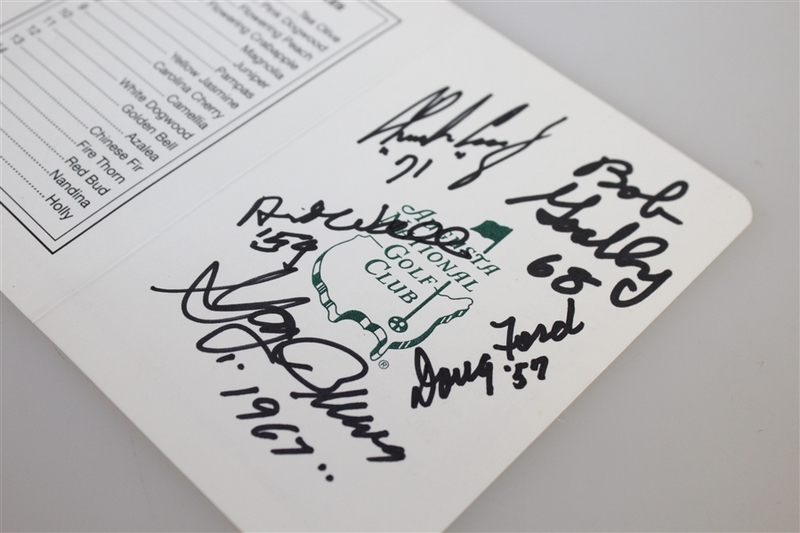 Multi-Signed Augusta National Golf Club Scorecard by previous Masters Champions. 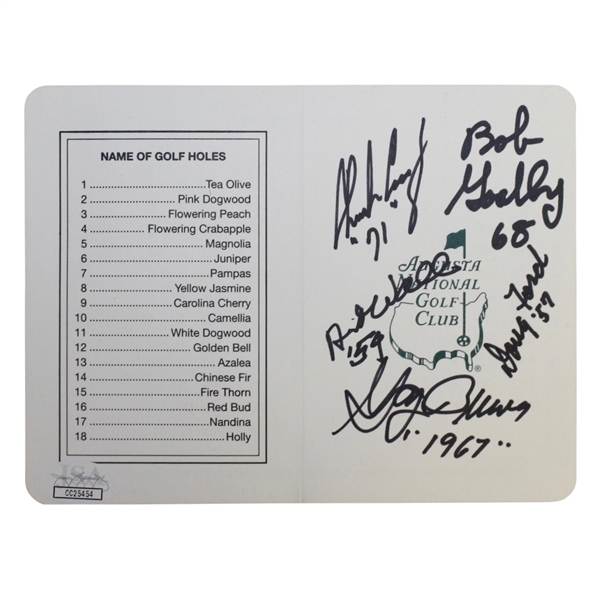 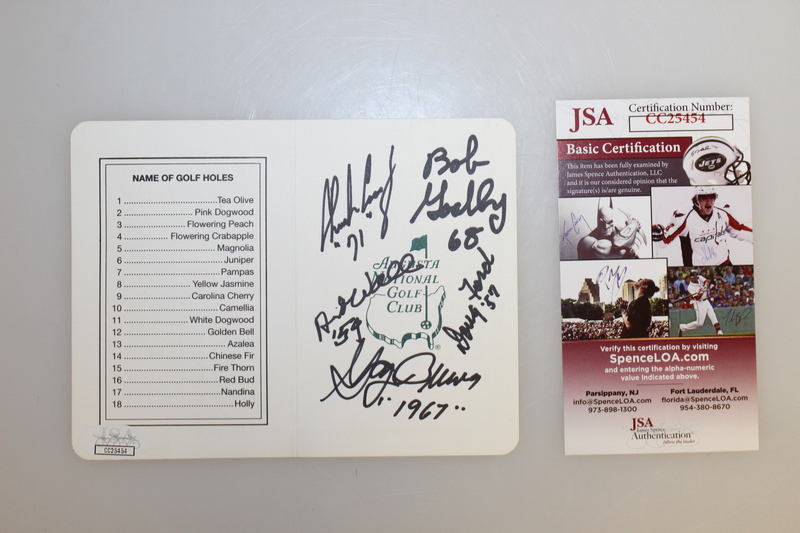 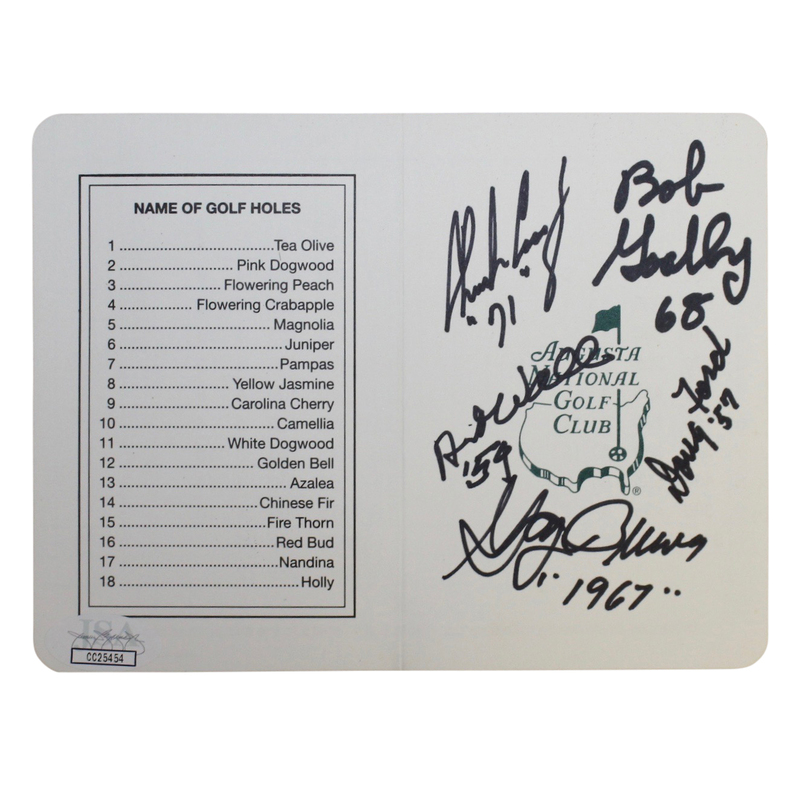 This August National Golf Club score card is signed by previous Masters Champions. The signatures see are from Charles Coody (1971), Bob Goalby (1968), Art Wall Jr. (1959), Doug Ford (1957), and Gay Brewer (1967). 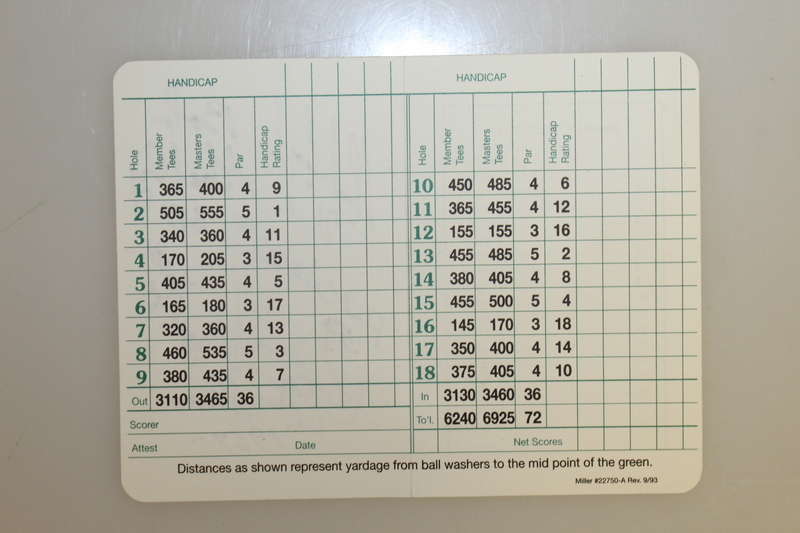 All signatures are located on the front of the score card.